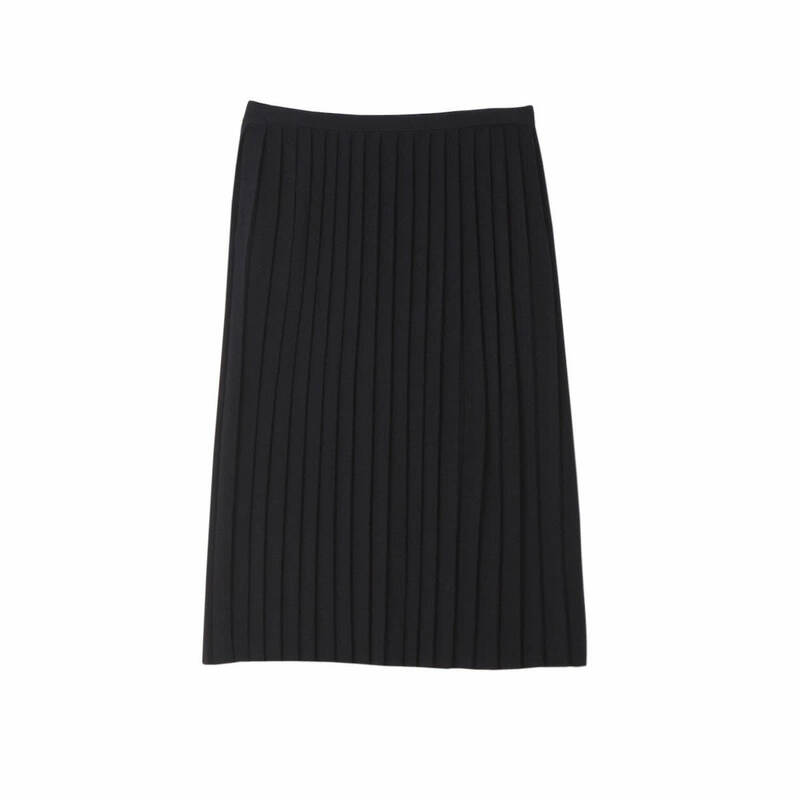 Black pleated skirt with a relaxed fit and contemporary look. Designed with side pockets and elasticated waistband for a comfortable fit. Made with luxurious merino wool that is not only soft yet keeps its pleats beautifully when worn. Pair yours with everything from T-shirts to sweaters. Size: Measures 70cm around waist and 86cm around hips (unstretched) in size M.